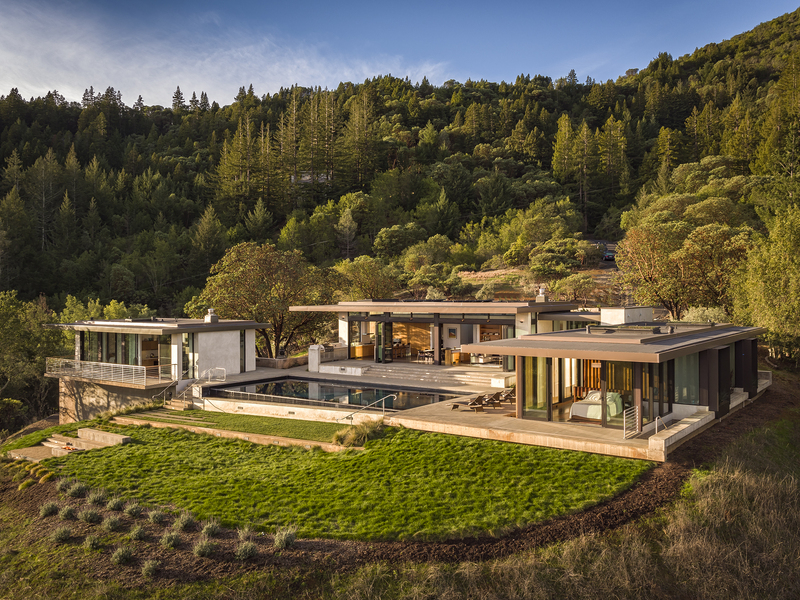 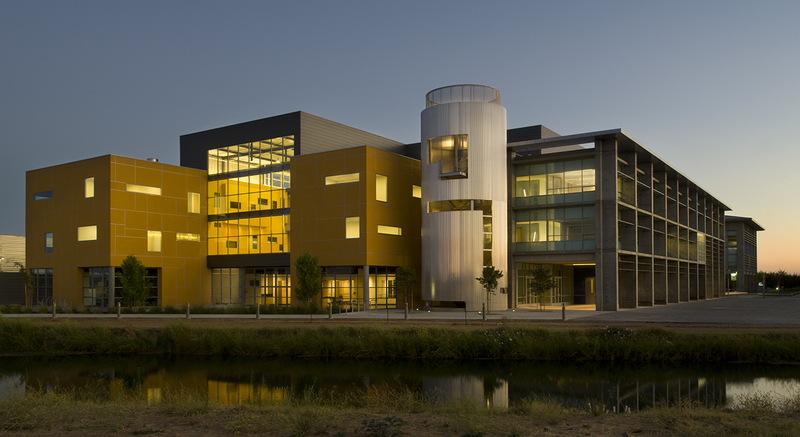 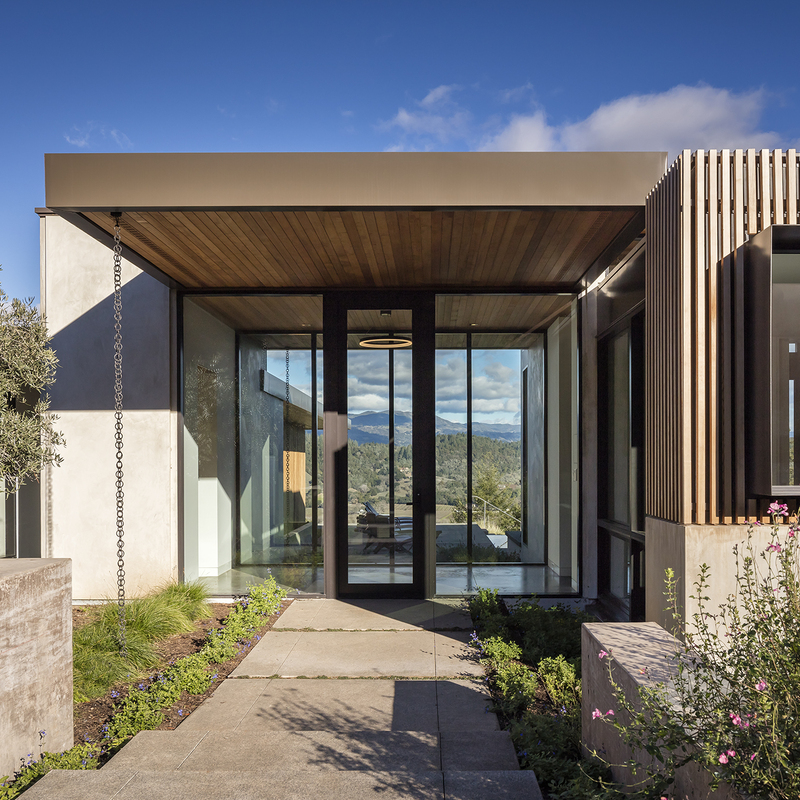 The new modern residence in Healdsburg, California takes advantage of the hillside site and the views of the West Dry Creek Valley. 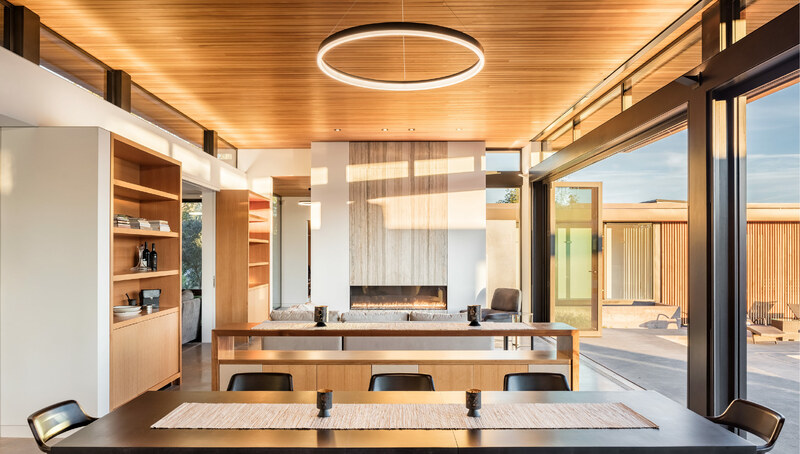 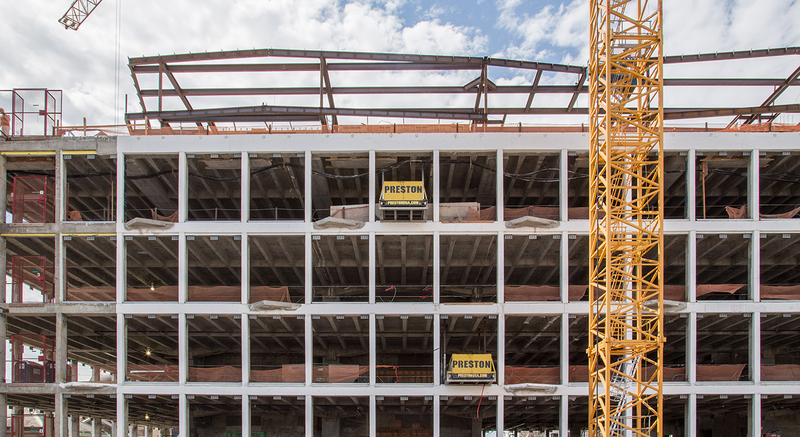 The residence’s L-shaped floor plan is comprised of large open glass walls at two wings with long overhanging roofs to protect the glass from direct sunlight. 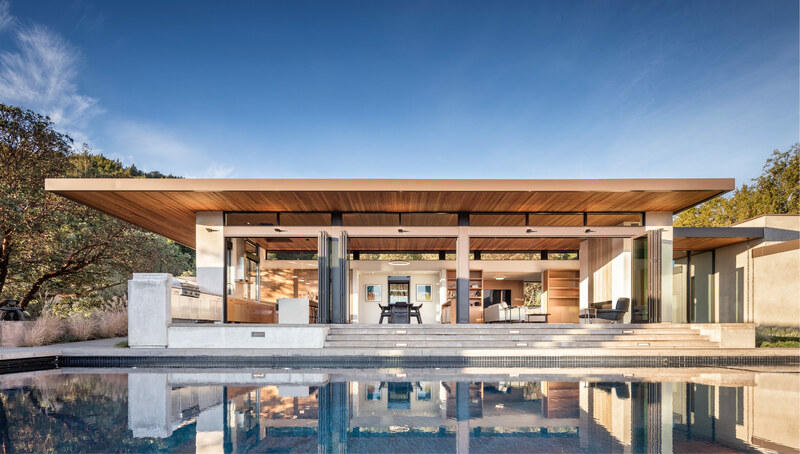 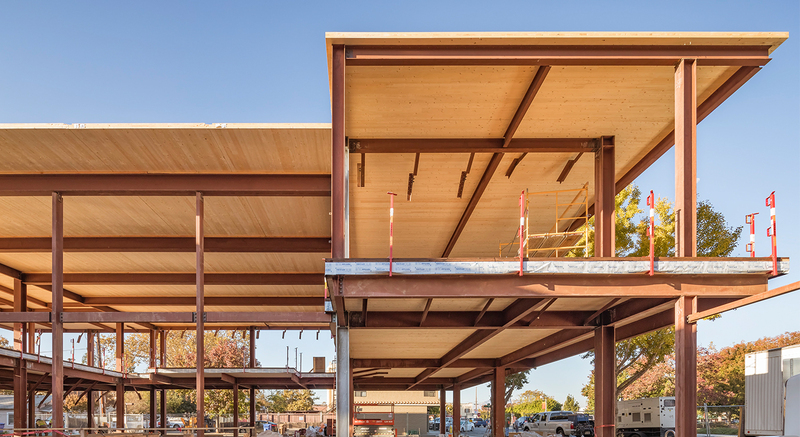 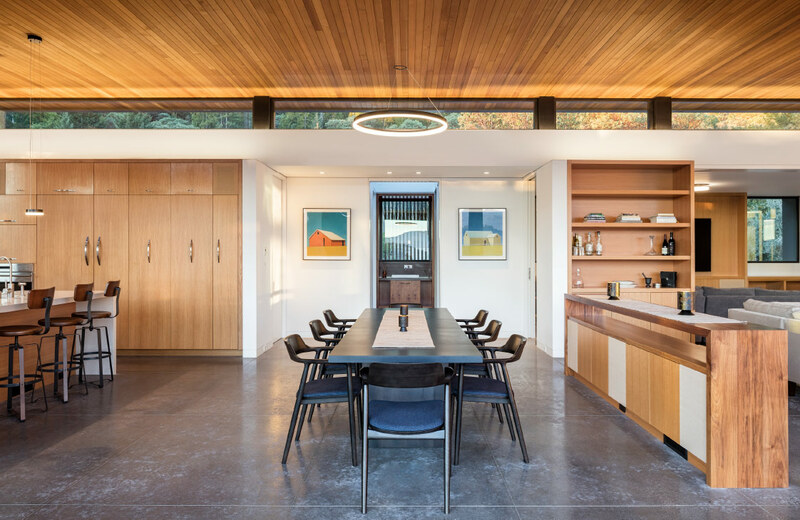 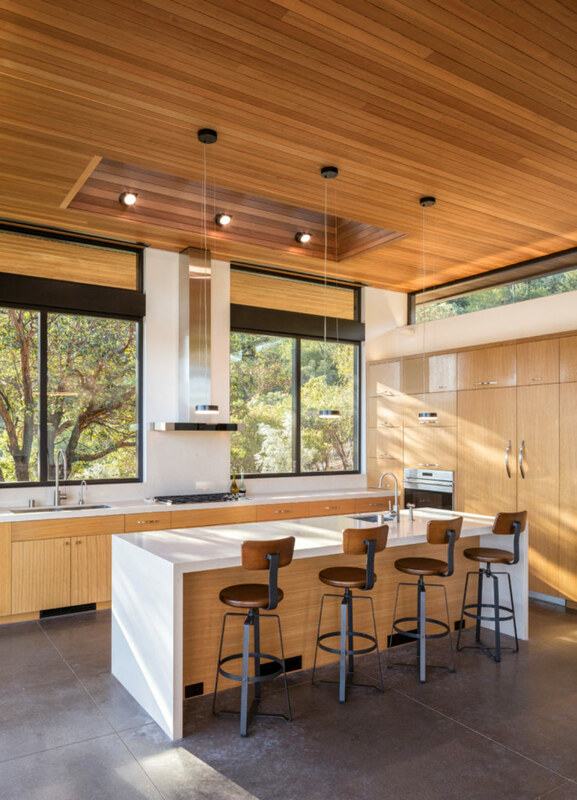 Holmes Structures worked with the design team to build this wood and steel structure with shallow depth cantilevered framing over the large openings and minimal structural support, as well as clerestory windows to provide maximum views and light inside the house. 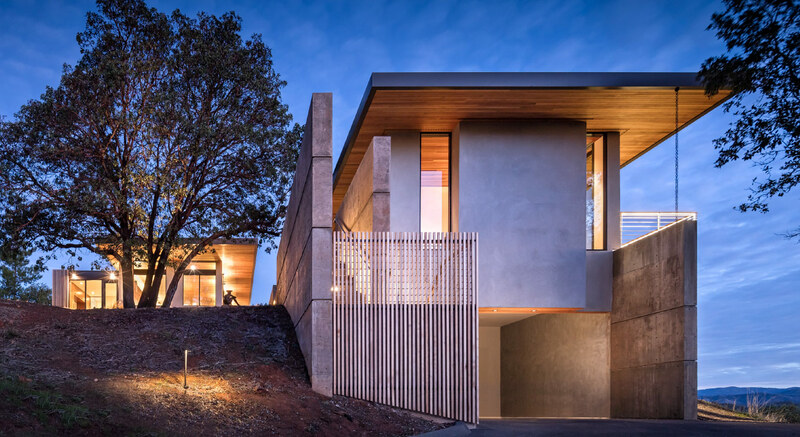 The project also includes a similarly designed guest house with long roof overhangs and a detached garage.